Michael Evans, CEO of Park Royal Hospital is pleased to announce Denise McNulty, DNP, as the Chief Nursing Officer of Park Royal Behavioral Health Services. McNulty’s role will be to oversee all nursing personnel and activities in the facility. Her duties will include resource planning and clinical management on both a daily and long-term basis , as well as process improvement. Her primary goal is to ensure the welfare and success of both patients and nursing staff. Park Royal Hospital is located at 9421 Park Royal Drive in Fort Myers. “She is the preeminent clinician in Southwest Florida and makes it her practice to elevate and promote success in every facility that has been lucky enough to have her,” says David Edson, Business Development Director for Park Royal Hospital. 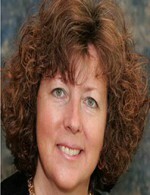 Denise McNulty has an extensive background in both nursing practice and education. Among the many highlights of her flourishing career, McNulty was the Director of Mental Health Services of Doylestown Hospital in Pennsylvania where she directed the overall operation of the hospital’s mental health departments and provided clinical oversight of medical and nursing staff. After seeing the need for nursing leadership and development in Florida, McNulty moved in 2000 and served in multiple nursing leadership positions, including Director of Nursing for The Willough at Naples, Chief Nursing Officer for South Florida State Hospital/Atlantic Shores Healthcare, and Director of Service Excellence/Patient Satisfaction for the NCH Healthcare System. For the past two years, McNulty has served as the Nurse Administrator for Edison State College where she was responsible for directing overall operations for the nursing programs at the Collier, Lee, and Port Charlotte campuses. “We are very happy that she chose to return to nursing operations by joining the Park Royal team,” says Michael Evans, CEO of Park Royal Hospital. “Her commendable educational background and remarkable professional track record make her a welcome addition to our facility. We look forward to seeing all that she can do,” Evans adds. Denise McNulty’s dedication to professional development is evident in her educational background and professional associations. She received her Bachelor of Science in Nursing from Holy Family University in Philadelphia, PA in 1986 and continued on to earn her Master of Science in Nursing from the University of Pennsylvania in 1987. In 2010, she completed her Doctor of Nursing Practice Degree at Duquesne University in Pittsburgh, PA. McNulty has also earned Post-Masters certificates in Health Administration, Psychiatric/Mental Health Nursing, and Teaching in 1996, 2006, and 2012 respectively. McNulty is also a part of many professional associations including the American Nurses Association, Florida Nurses Association, and the Southwest Organization of Nurse Executives. In the past, she has also used her skills and experience for community outreach. Over the course of her career, McNulty has presented on a number of topics in the nursing profession both in Southwest Florida and across the country. As part of her commitment to professional and staff development, she plans to continue to present and educate for Park Royal Hospital in the near future. “I am dedicated to promoting staff and professional development, team building, the empowerment of nurses, and enhanced communication,” says Denise McNulty. “I look forward to using my experience and passion to guide and develop the nursing staff and help Park Royal continue to be Southwest Florida’s ultimate destination for behavioral health and mental wellness,” adds McNulty. Debuting in February 2012, Park Royal Hospital is a freestanding behavioral health facility providing life-changing care to adults and seniors who have difficulty coping with life’s challenges. As part of the Acadia Healthcare family, Park Royal Hospital is committed to providing effective, patient-focused substance abuse and behavioral health and mental wellness services. This 103-bed facility offers high quality, cost effective clinical programs that aim to optimize a patient’s return to a full and productive life. The facility offers a full range of services, including inpatient and intensive outpatient programs. The hospital treats both adult and geriatric patients for depression, anxiety and mood disorders, memory issues, post-traumatic stress disorder, and co-occurring mental health and substance abuse issues. Park Royal admits patients 24 hours a day, seven days a week, and accepts most insurance, including Medicare and the managed plans of Medicaid. Any concerned person, including family members, friends, companions, physicians, or social workers, can make a referral. Park Royal is licensed for involuntary commitment and also offers crisis intervention services. Park Royal Hospital is conveniently located off Summerlin Road at 9421 Park Royal Drive in Fort Myers. For more information call (239) 985-2700 or visit our website at http://www.ParkRoyalHospital.com.